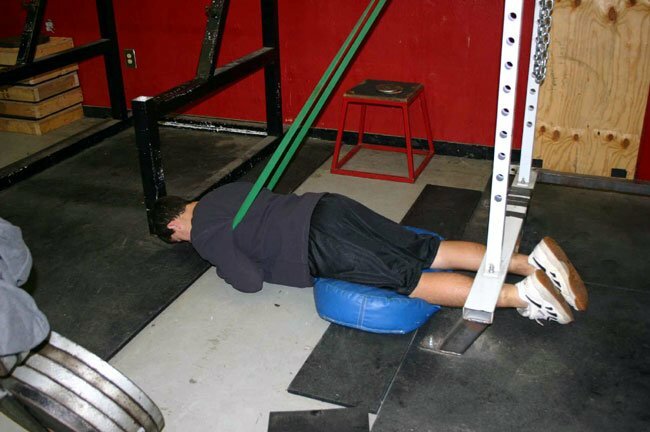 Posterior Chain Improvisation: Exercises That Replace The Glute Ham Raise And Reverse Hypers! 'I don't have a glute ham raise or reverse hyper; what do I do?' Well I have some solutions to this problem for those newby powerlifters. Learn more right here. 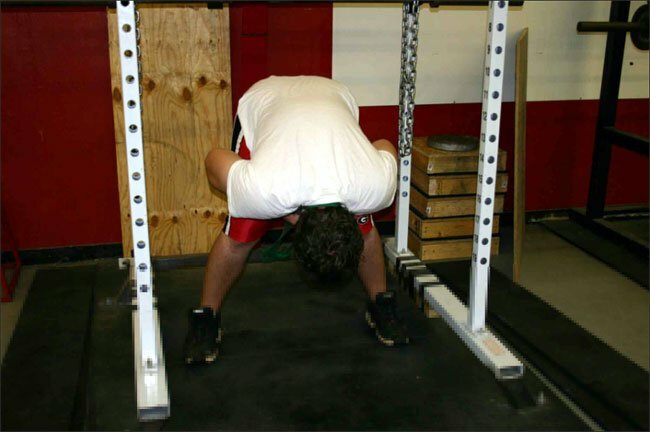 "I don&apos;t have a glute ham raise or reverse hyper; what do I do?" This is a question newbie powerlifters ask all the time, and it&apos;s one I asked myself on another web forum when I first started training with the Westside methods. 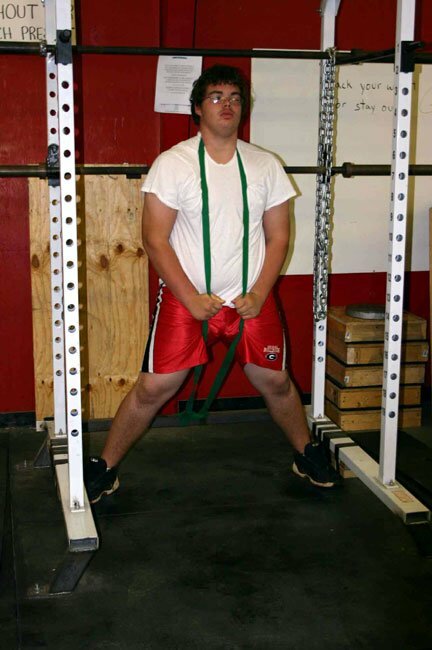 Not only do knowledgeable powerlifters write these implements in every program you see, but the GHR and reverse hyper are also staple exercises the Westside Barbell Club. Because these two implements are few and bar between in commercial gyms, trainees must search for a comparable method of training. Fortunately, there are alternatives that work as well - if not better - in some cases. With that in mind, here are several different exercises I recommend to use in place of the GHR and reverse hyper in your gym to really hammer the posterior chain. I&apos;ll start with my favorite, which I first saw at Tommy Fannon&apos;s website - Growordie.com. To my knowledge, Washington State&apos;s Matt Ludwig invented the band pull-through. All you need are a couple of bands (or maybe only one if you are a bodybuilder) and a sturdy place around which to choke them. After choking the band around the base of your choice, straddle the band and loop it around your neck. Now walk out until you have a good bit of tension; remember that the further out you walk, the more tension you have as resistance. I put that in there because, even though it is common sense, my rule of 8 out of 10 people being stupid still applies. You should be sure that you walk far enough out so that when you are at the bottom of the movement, you still have tension. You can set your feet anyway you want, although I typically use a very wide stance. 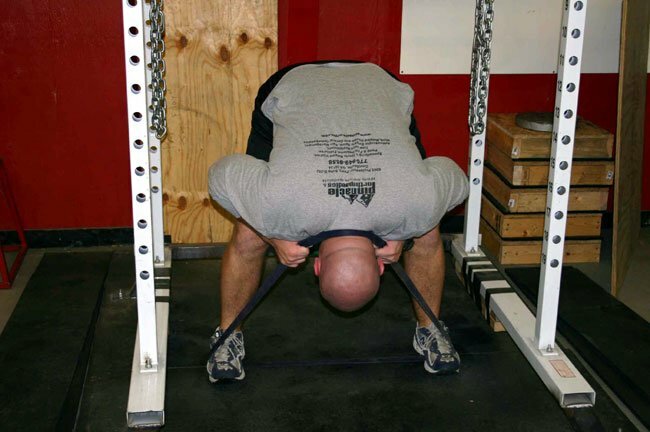 Once you&apos;re set, you can do either a straight leg pull-through or more of a squatting pull-through. The former will really hammer the lower back, while the latter will hit more hamstrings. In both cases, higher reps are usually employed. I created a variation that I call the pull-through good morning. I choke a band just like for pull-throughs but I also put a band under my feet so I can do band good mornings at the same time. It&apos;s just a different way to do it and probably won&apos;t make a difference in the long run, but it definitely looks cool and is great for scaring pencil necks in the gym. 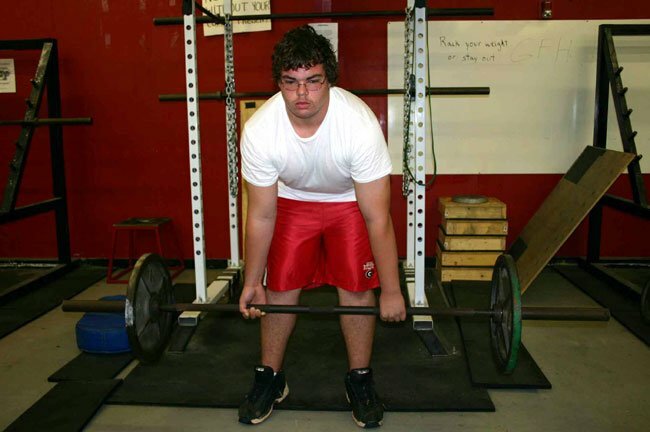 The Dimel Deadlift is another one of my personal favorites. All you need to perform these is a bar and some plates. Get setup like you would for a conventional deadlift. Pull the weight to the top, and then descend normally until the bar is just below the knees; when you reach this point, quickly reverse the weight. When you get to the top, you should pop your hips forward and squeeze the glutes. In my experience, squeezing the glutes during the entire lift will allow you to feel it more in the hamstrings. That&apos;s called the mind-muscle connection. It might be a Weider principle, but I&apos;m not sure. 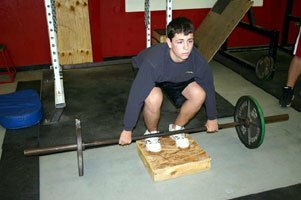 Reps in the order of 15-20 should be used and the barbell speed should be fast. It probably takes me 25-30 seconds to do 20 reps.
How many times have you seen someone do a pseudo glute ham raise? Probably none, because unless you are a freak, it ain&apos;t gonna happen. It sure ain&apos;t happening with me. 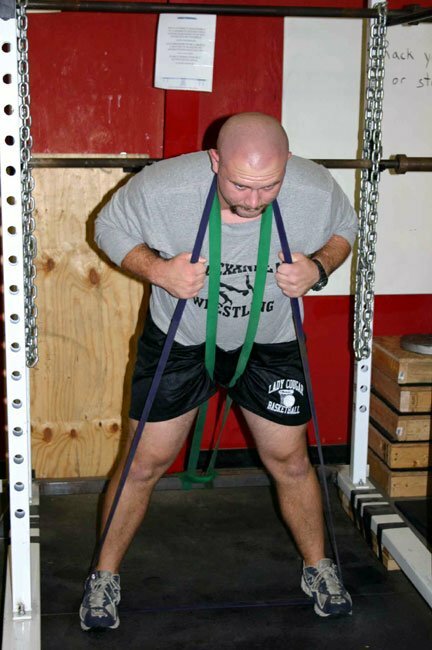 Here is a way I devised that will allow you to do multiple reps with the help of some bands. The best thing about this is that it has built-in ways to increase the difficulty. You more than likely will need to use a power rack for this. Find a way to anchor your feet at the bottom. If you have a sumo rack, that works fine; if not, you can move the pin from the other side to use as an anchor. The other pin will be used to hold the band. You can either thread the pin through the band or choke the band; it doesn&apos;t matter. 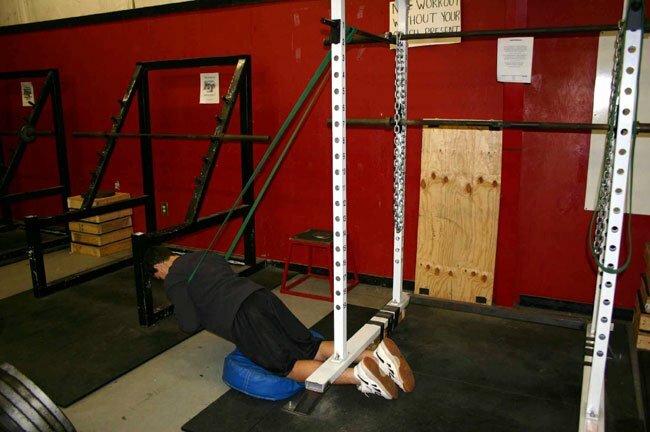 Setup with your feet anchored and put the band around your chest. To increase the difficulty, move the pin down the rack. If you want to make it easier, move the pin up. You can also just change bands. A light band will help less than a green, and a green less than a blue, etc. These are exercises are great, but don&apos;t forget the basics. All these can still be used a good bit of the time. 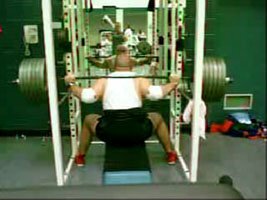 On my max effort days, I will usually do another "max effort" exercise for multiple sets of 3-8 reps after my main lift. I will then do one of the lifts I described earlier to kind of "finish off" my session. 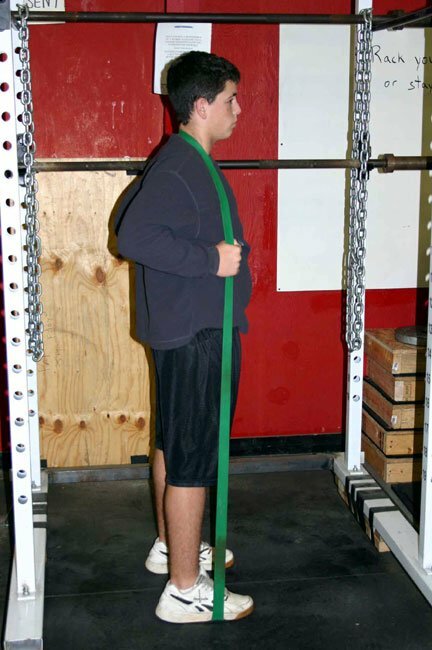 You probably noticed that many of the exercises I have shown you here require bands. If you are too cheap to buy bands then please go back to collecting stamps or something. This is especially true if you own anything that has an Abercrombie label on it. They are unquestionably the best investment you can make in your lifting career. 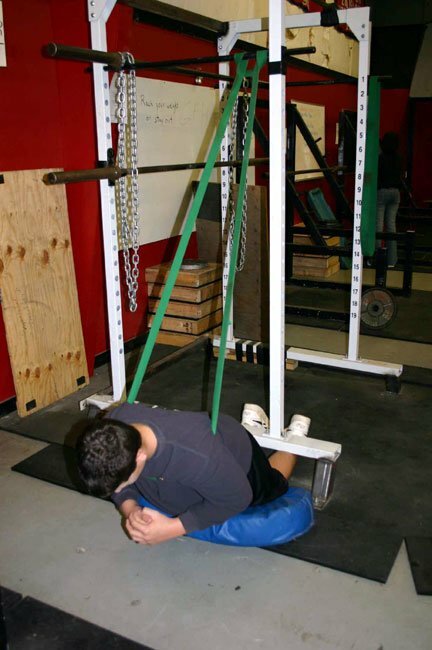 All of these exercises have a place in your program regardless of whether you have access to a GHR or Reverse Hyper. 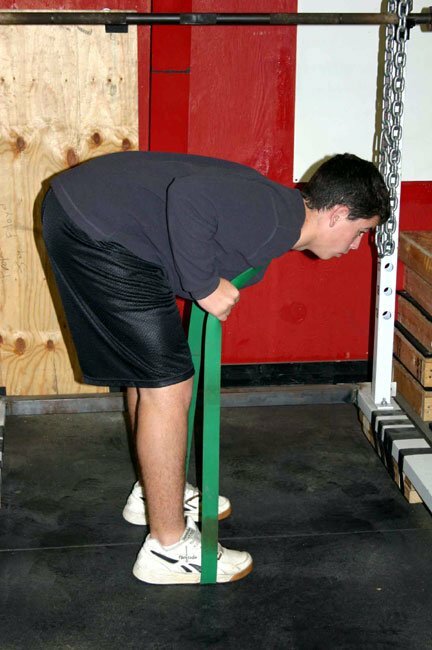 No matter what your sport, a strong posterior chain is needed and these exercises will help. Jay Floyd graduated from Columbus State University with a B.S. in Exercise Science and a M.Ed. in Physical Education. Jay works as a high school football and strength coach. 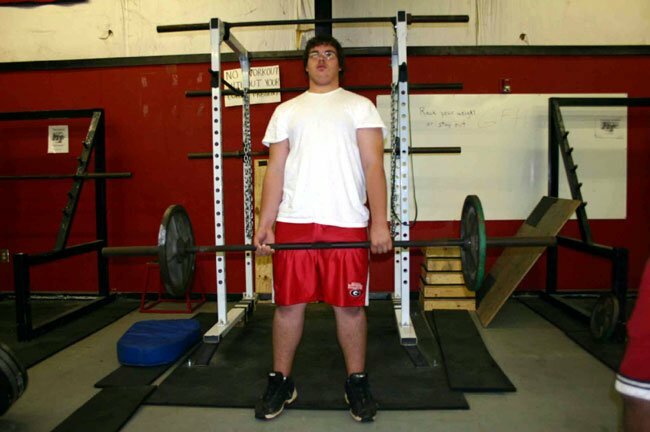 As a competitive powerlifter, he has squatted 800, benched 450, and deadlifted 633. He can be reached at Goldberg_rjf@hotmail.com for consultations at a nominal fee.